As their advisor, helping your clients with their health care planning needs, including how to navigate the many questions and challenges surrounding long-term care with empathy is one of the most valuable services you can offer. Here are four guidelines to help you assess whether your clients should self-insure for LTC. You may assume that every client with $1 million (or another arbitrary number) in assets should self-insure for long-term care, without discussing the issue with those clients. Your clients may assume that they have plenty of assets to self-insure, without understanding the cost of a lengthy care event. These assumptions are risky, potentially setting up your clients for losses that can't be recouped. Although it might seem intuitive to use net worth as a gauge for your client's ability to self-insure, income is a more accurate indicator. People use income to pay for long-term care expenses, so determining whether or not to self-insure should be a question of liquidity, not solvency. Still, it is not without its challenges. Liquidation challenges. You might rationalize that your clients can sell assets from their portfolios to pay for long-term care. But liquidating assets can be quite expensive. 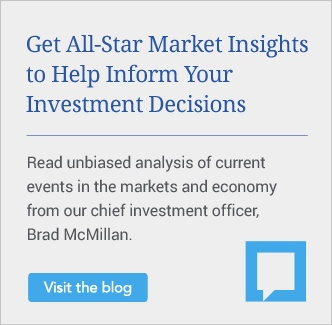 Just as important, it can jeopardize your clients' overall financial strategies. Long-term care expenses are paid from household income. As their income is drained, your clients will have to reallocate liquid assets (e.g., brokerage and retirement accounts) to pay for their monthly needs. Of course, there will be consequences. Think of the tax ramifications and penalties for liquidating 401(k)s, IRAs, stocks, and bonds. Plus, without these assets to drive it, your clients' future retirement income will also take a hit. 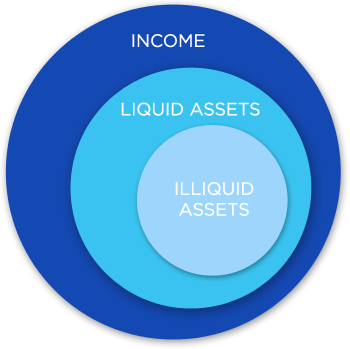 Next, consider the challenges of converting illiquid assets, such as real estate, into liquid assets. It may not be possible for your clients to liquidate these assets, or they may take a substantial loss on the sale or face tax consequences. Imagine the difficulty (and stress) if your client needed to sell a vacation home, for instance, in order to finance unexpected health care costs. Long-term care costs can vary depending on the geographic area and the level of care. In Massachusetts, for example, the average monthly nursing home bill can be as high as $10,737. For example, let's say that your client, John, has a monthly retirement income of $16,000. This income supports the lifestyle of John and his spouse, including their home, activities with family and grandchildren, hobbies, and charities. If John needs long-term care services that cost $10,000 per month, this leaves $6,000 to support his spouse's lifestyle. Can John spend an additional $10,000 per month—perhaps indefinitely—and still meet all of his other financial obligations? Simply put, the answer is "no." Instead, he should consider other sources of long-term care funding to cover part of the future costs. As the example above shows, the cost to self-insure for LTC could affect a client’s income, lifestyle, and financial obligations. In fact, some of your high-net-worth clients may decide that this option isn't for them. If so, what other solutions could they explore? Life insurance policy with a long-term care rider. For those clients who want to self-insure for long-term care but don't want to reposition a large sum of assets, life insurance may be a good alternative. A life insurance policy allows for annual premiums rather than single premiums. Plus, because the policy is underwritten, the death benefits tend to exceed those from linked-benefit products. Traditional long-term care insurance (LTCI). Traditional LTCI can be structured to take all of the risk off the table, with lifetime coverage, or to eliminate some of the risk, with a five- or six-year plan, for example. Linked-benefit products. These products combine the features of LTCI and universal life insurance. 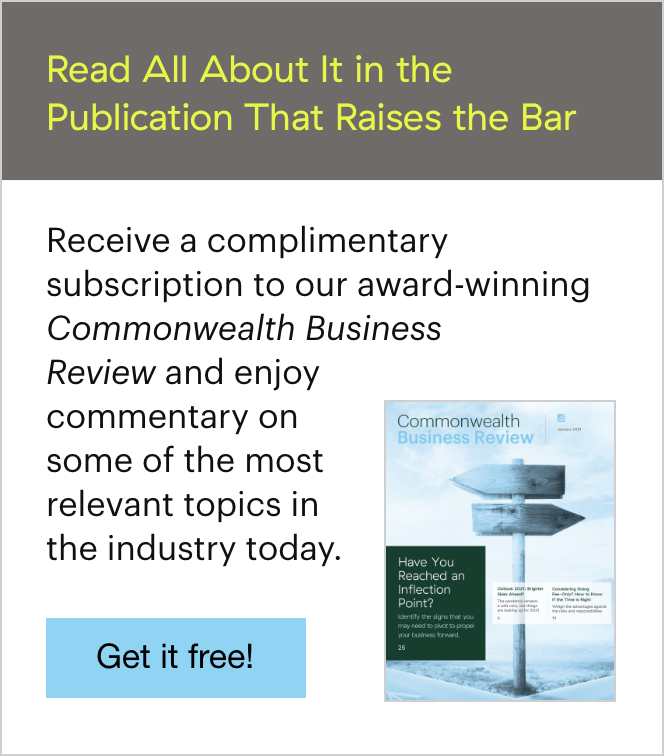 For the client who is concerned about paying premiums and then never needing long-term care, linked-benefit products may be especially attractive. By repositioning an existing asset, the client can leverage that money for long-term care benefits, a death benefit if long-term care is never needed, or both. The policyholder maintains control of the assets, freeing up retirement assets for other uses. Here’s an illustration of how the linked-benefit option might work for a high-net-worth client. Jane is 65 and married, and she previously decided against LTCI because she believes she has enough money to self-insure—$200,000 in CDs (i.e., her "emergency long-term care fund"). But if she ever needs long-term care, this $200,000 won't go far, and she may have to make up the shortfall with other assets. Care coordinators. Many clients who need care prefer to stay in their homes but may not understand the challenges of setting up home care. Care coordinators offer a very-high-level concierge service, which can make a difficult time a little less stressful. It's a valuable benefit to consider when deciding whether to self-insure, and both traditional LTCI and linked-benefit insurance provide policyholders with care coordinators who can help facilitate this transition. Some of your high-net-worth clients may be able to self-insure for long-term care expenses, and some may not. Even those who are in a position to self-insure may choose to transfer the risk when they see the leverage they can gain with insurance. In theory, LTCI can protect assets. In practice, however, it provides income to pay for care, allowing your clients' portfolios to continue supporting their lifestyle and obligations—and keeping their retirement plans on track. Remember, LTCI isn’t just liquidity insurance; it’s also part of sound financial planning. 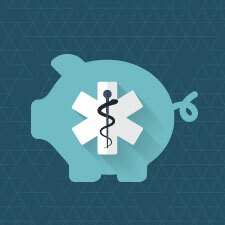 What strategies do your high-net-worth clients employ to plan for long-term care expenses? Have they expressed concerns regarding self-insuring this risk? Please share your thoughts with us below.